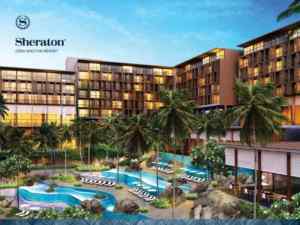 Sheraton Cebu Mactan Resort is ideally set on the exotic coral island of Mactan, which is part of Cebu Province in the Central Visayas. 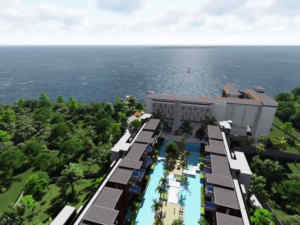 Our beachfront resort features breathtaking views of Hilutungan Channel and Magellan Bay. 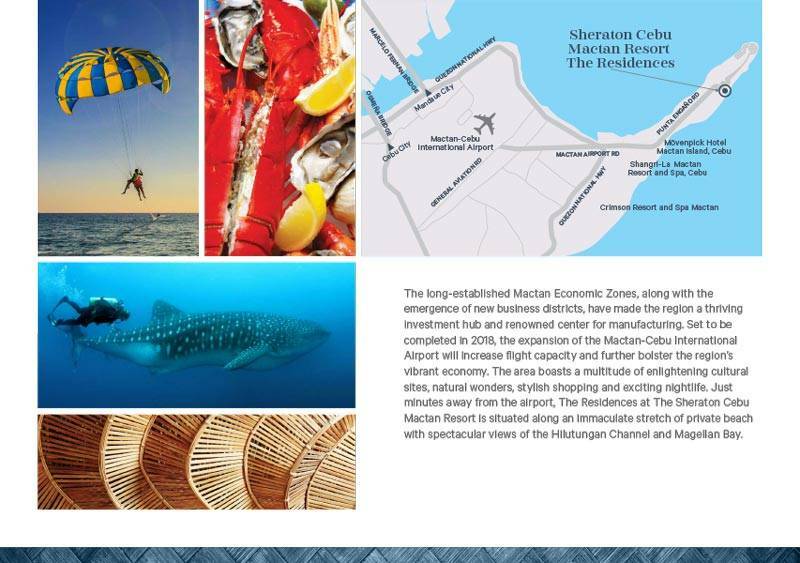 Mactan-Cebu International Airport can be reached by car in 10 minutes. 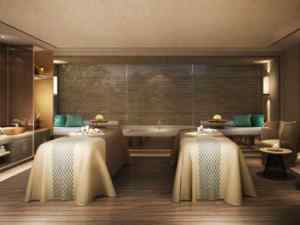 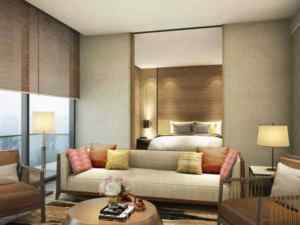 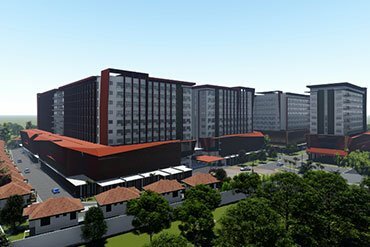 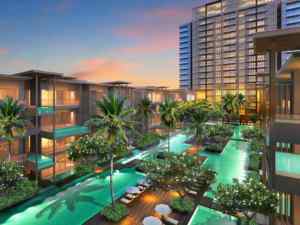 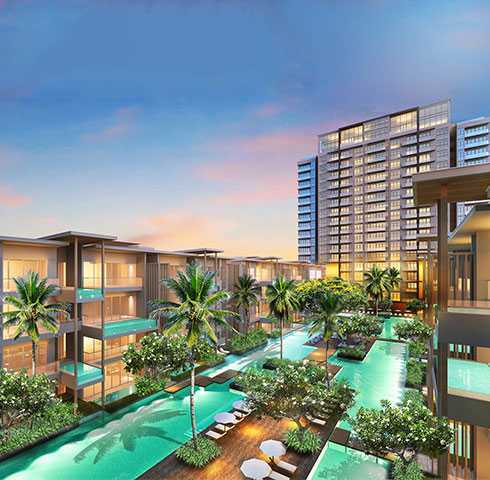 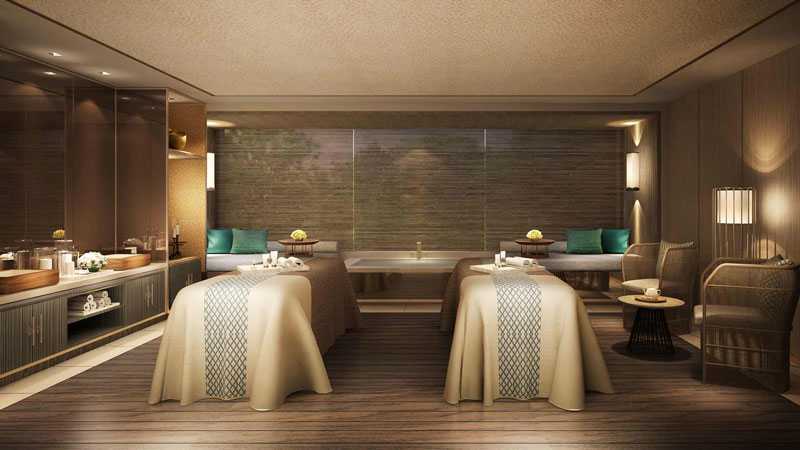 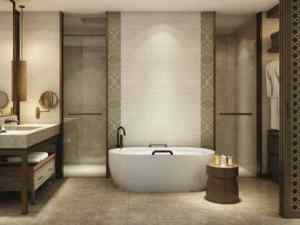 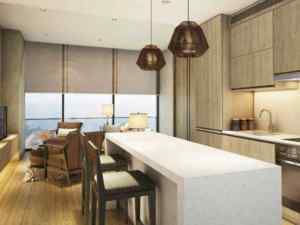 The Residences at The Sheraton Cebu Mactan Resort is a 22-storey main tower with 154 units consisting of one to three-bedroom residences and 36 courtyard residences each with a private pool. 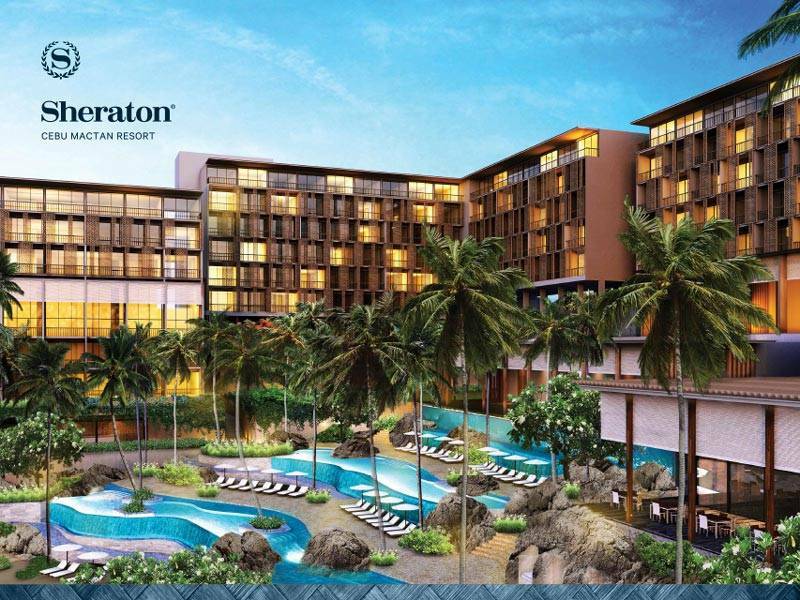 Experience the ideal modern staycation place crafted by Sheraton through facilities designed for every lifestyle – a private lounge and library, large lagoon pools in the courtyard, and an amenities floor that features a state-of-theart gym, yoga, and steam rooms, to name a few. 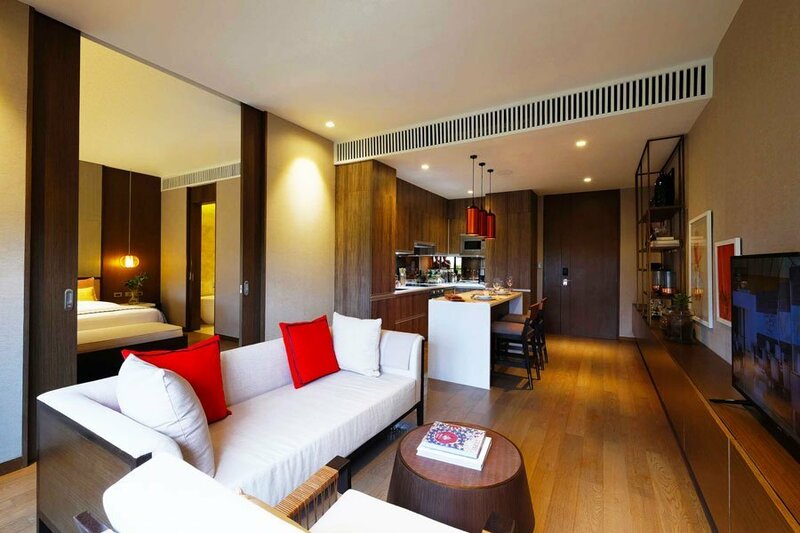 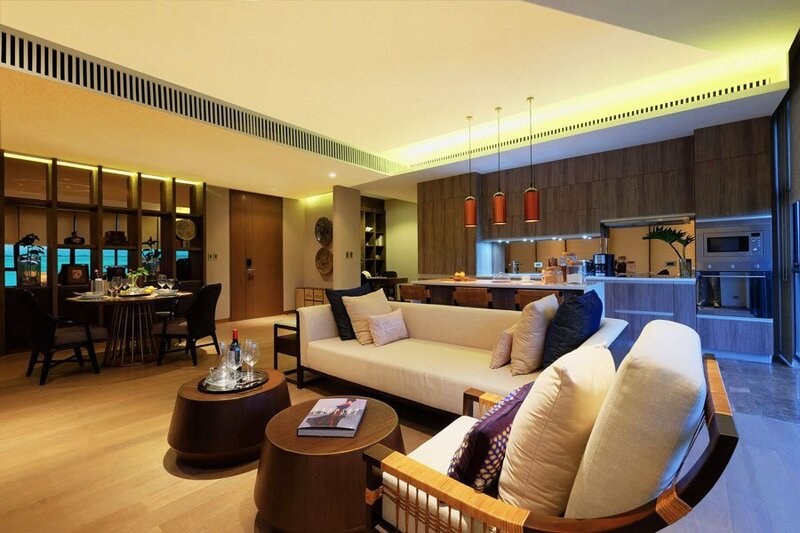 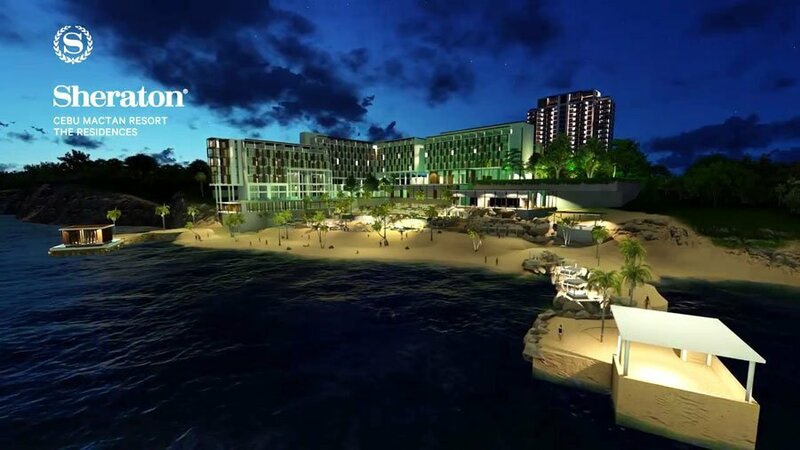 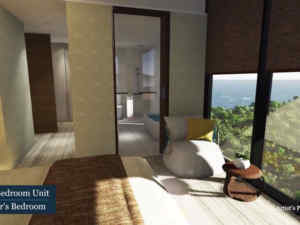 The world renowned Blink Design Group, which specialises in creating luxury hotels and resorts, took inspiration from the surrounding cliffs, beaches and exposed rocks in formulating the residences’ stylish look. 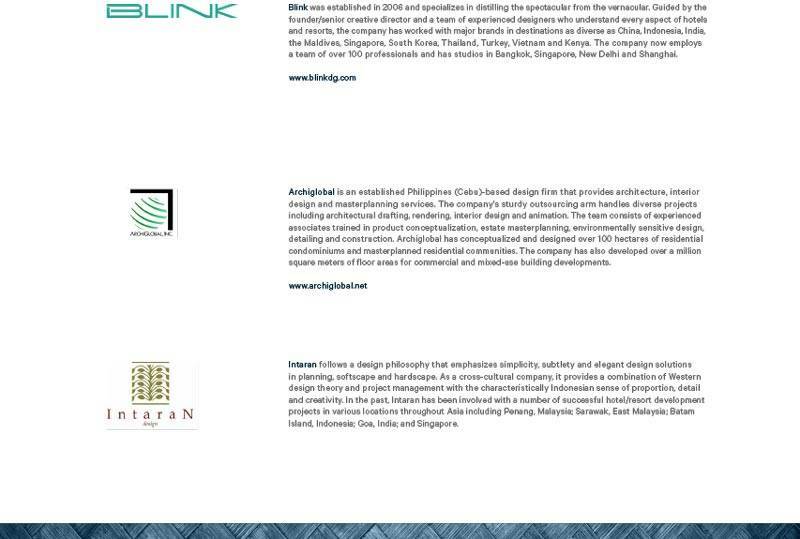 Blink’s thoughtful & innovative process has ensured that even the smallest details meet global standards & that living here will be a luxurious experience like no other. 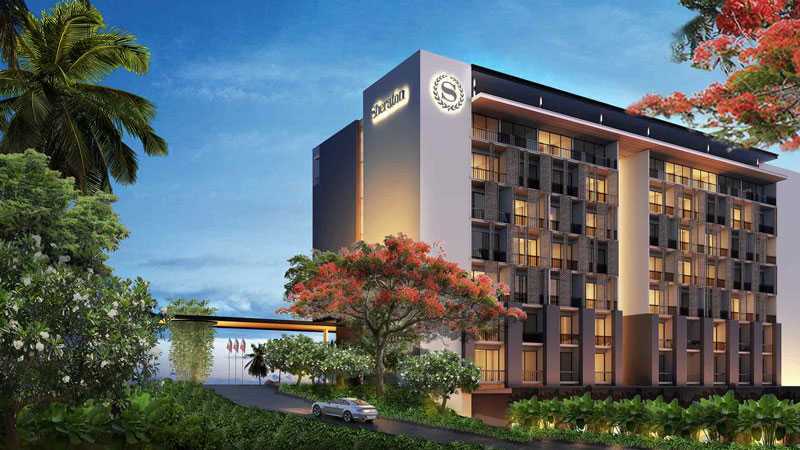 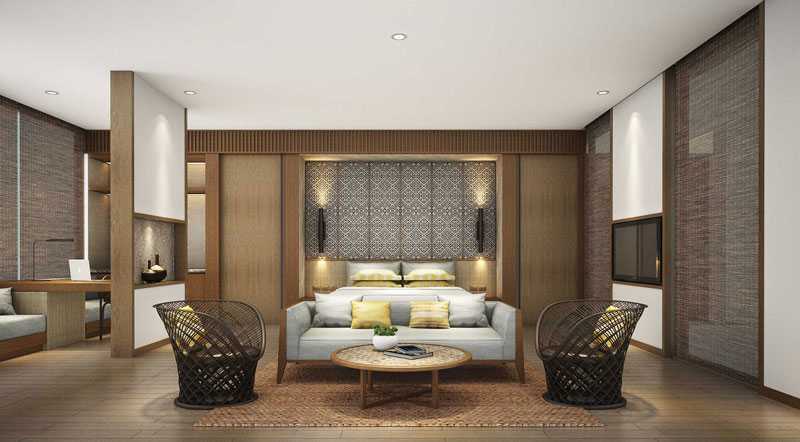 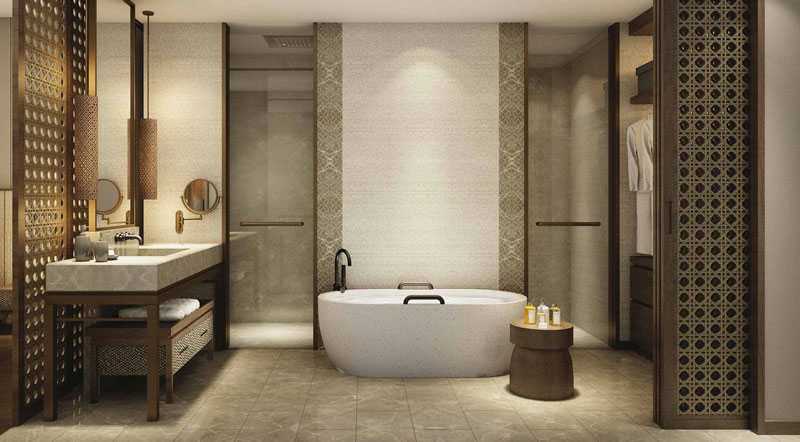 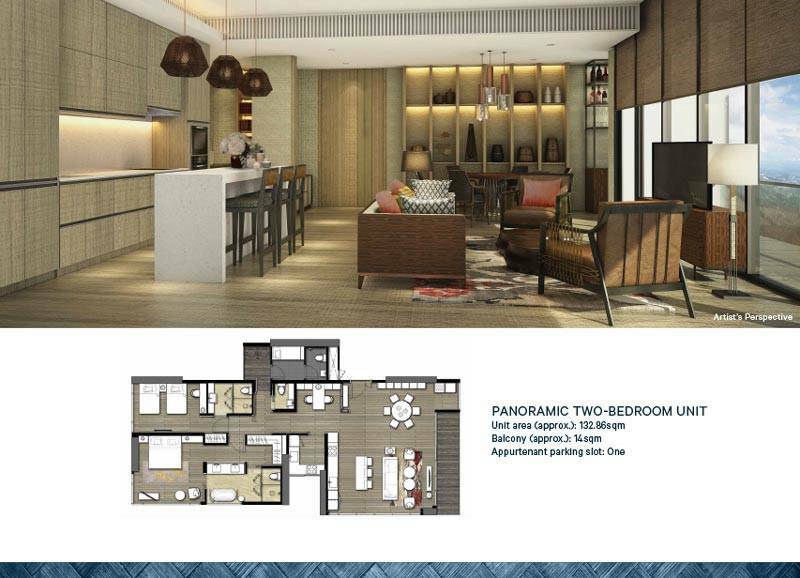 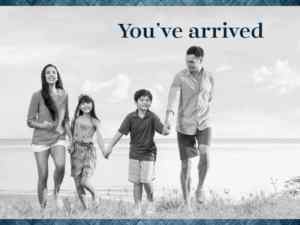 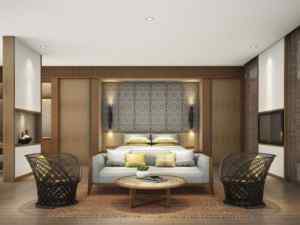 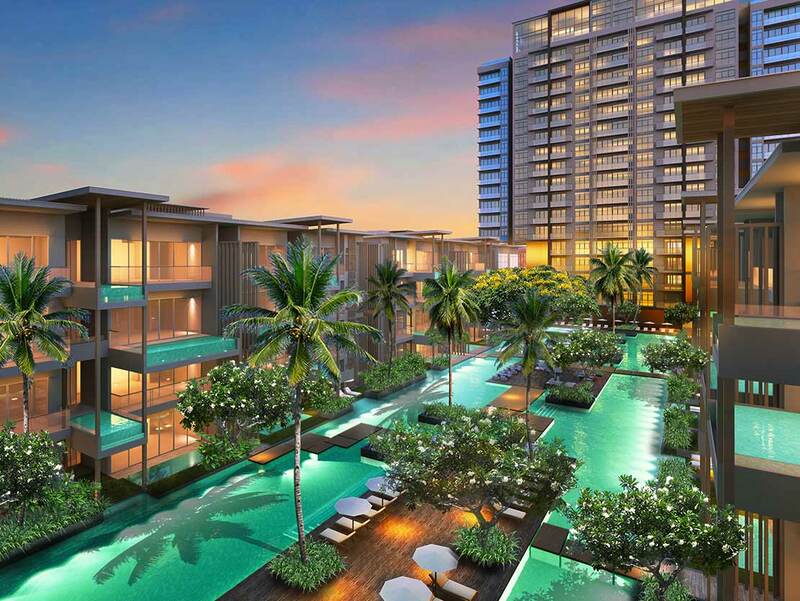 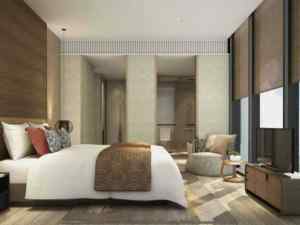 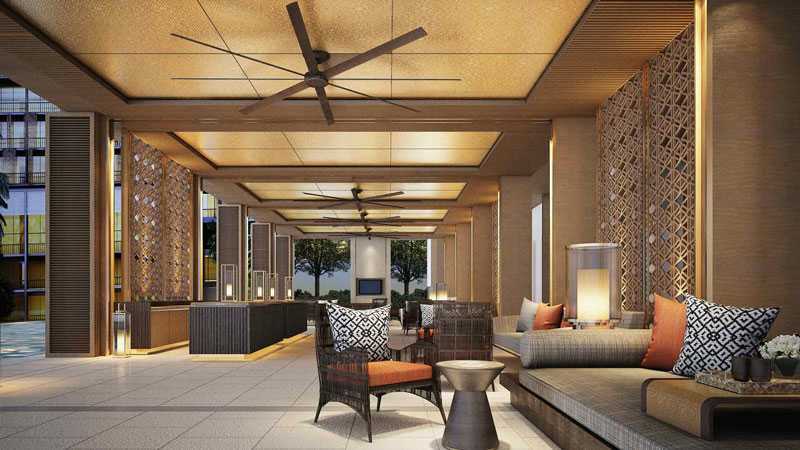 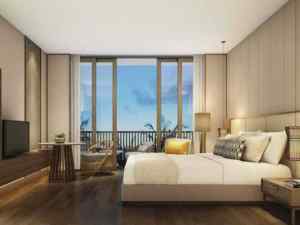 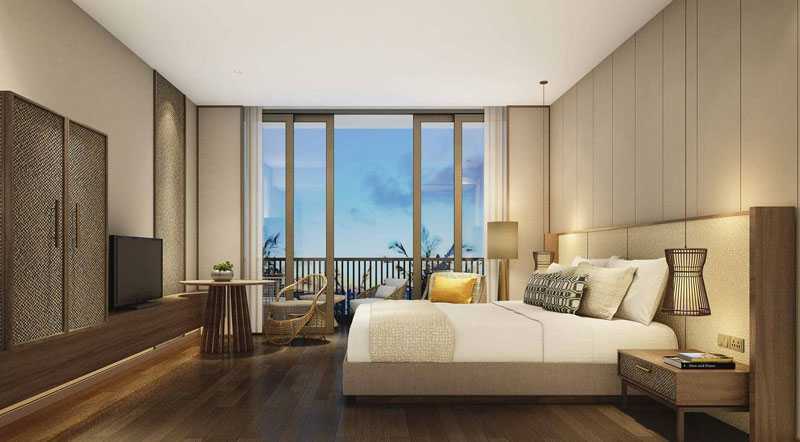 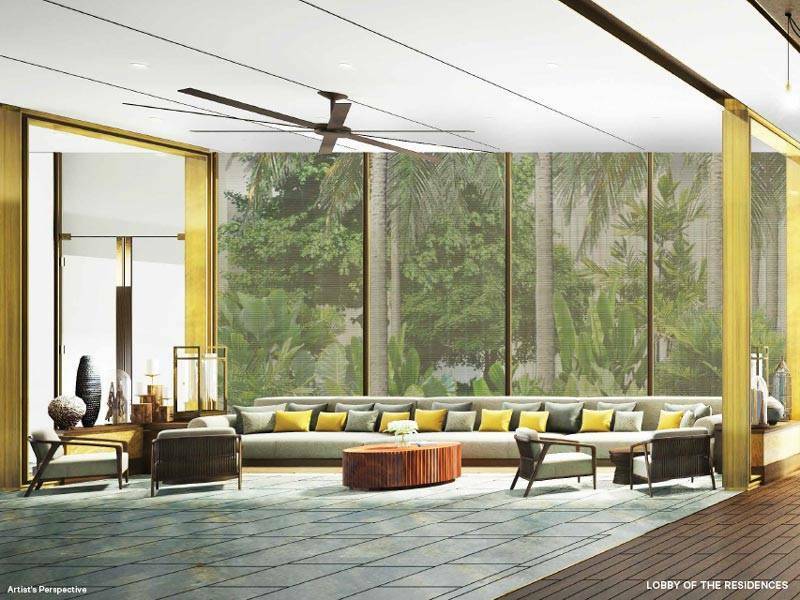 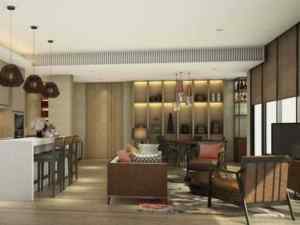 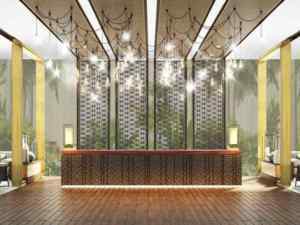 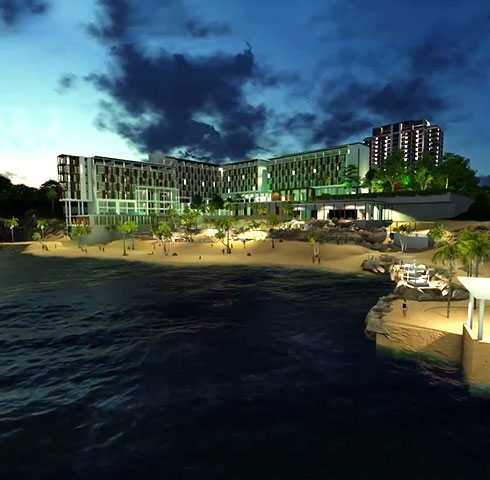 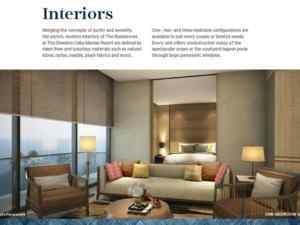 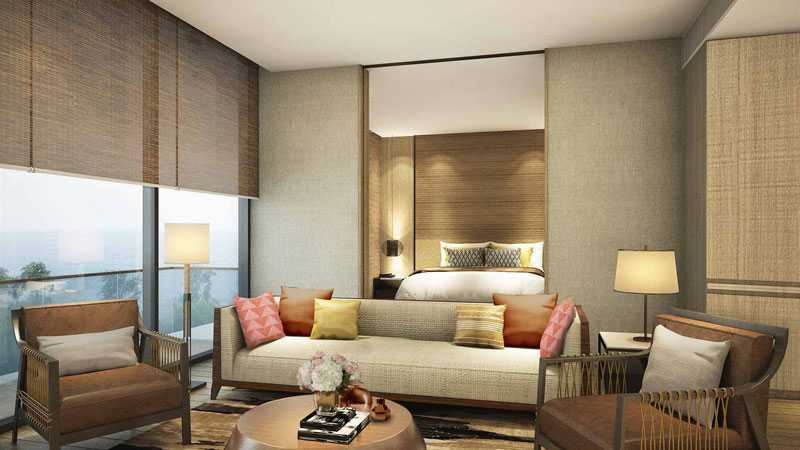 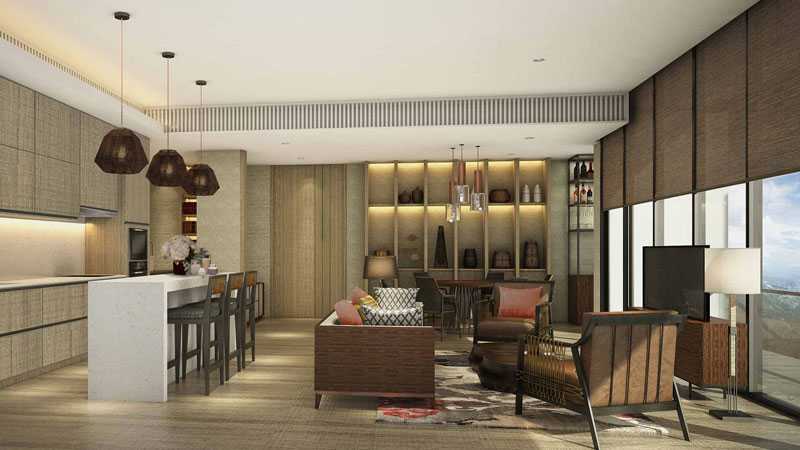 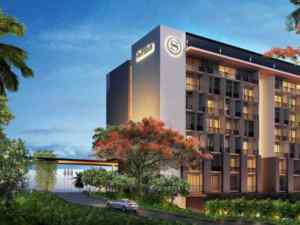 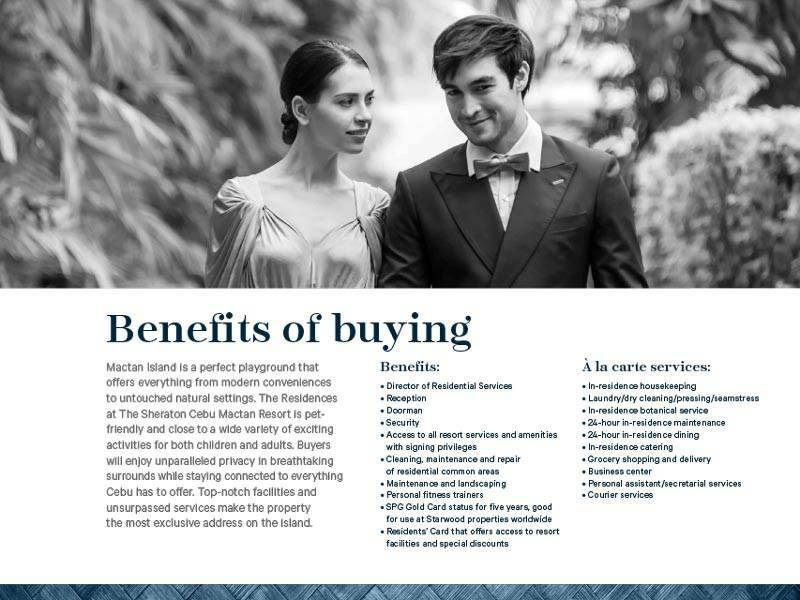 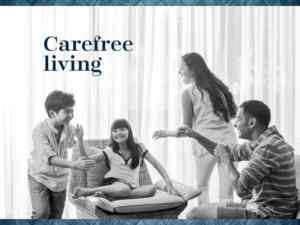 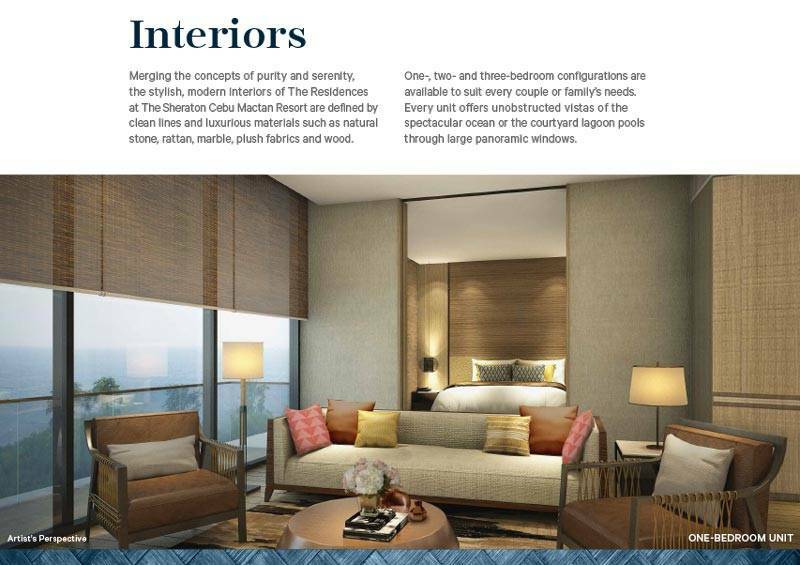 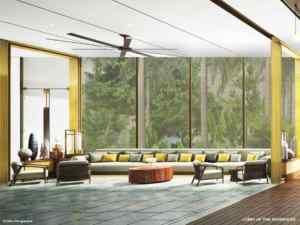 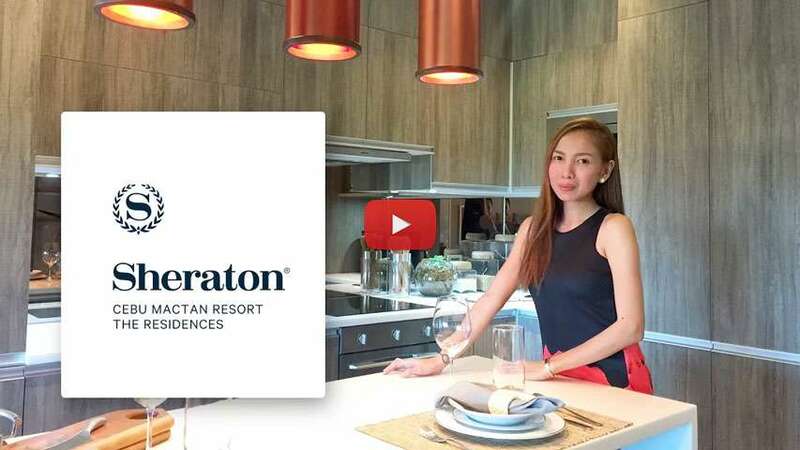 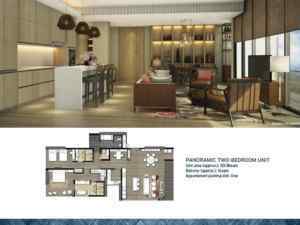 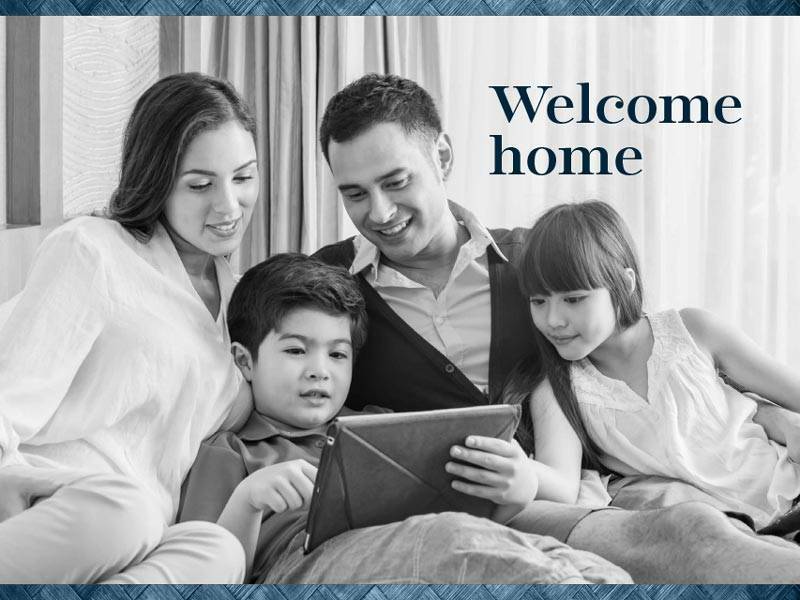 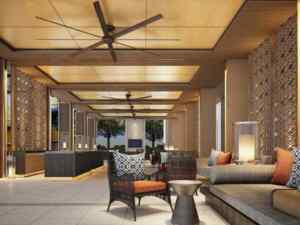 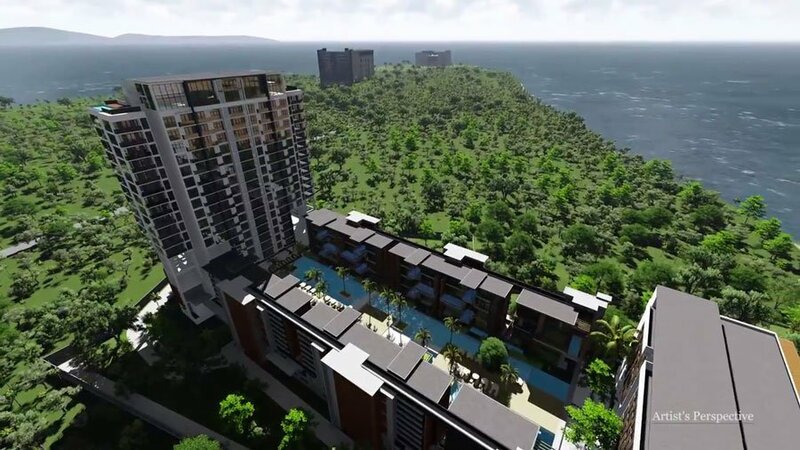 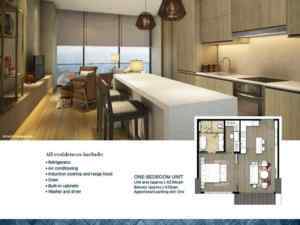 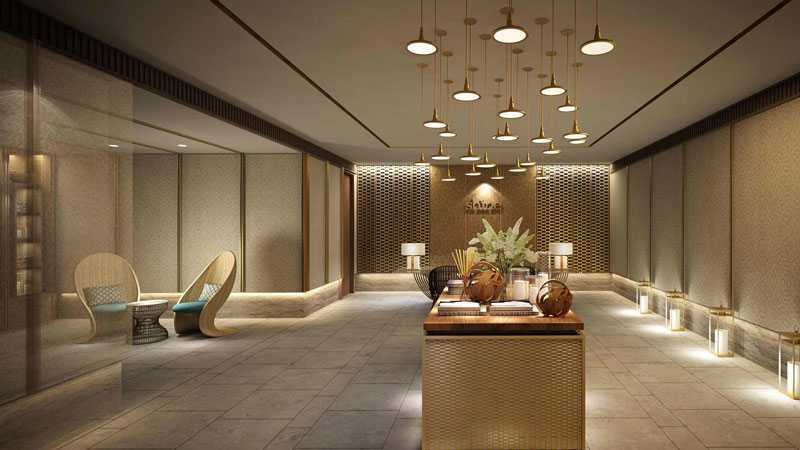 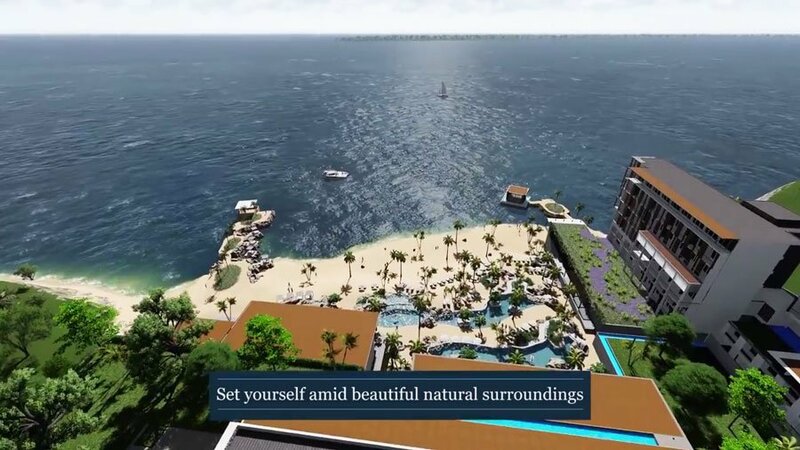 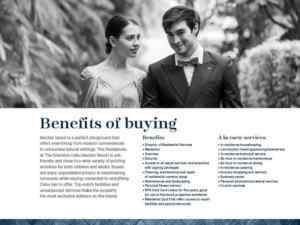 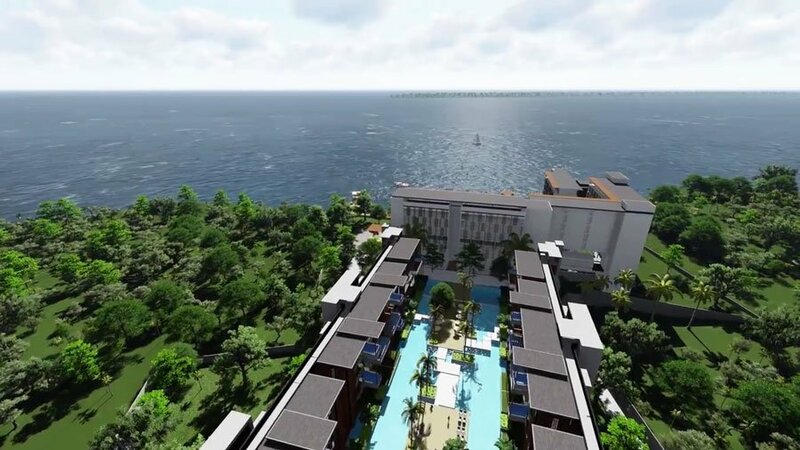 The Residences at The Sheraton Cebu Mactan Resort presents prospective residents with the rare chance to own a Sheraton-branded home in one of the world’s most sought-after island destinations. 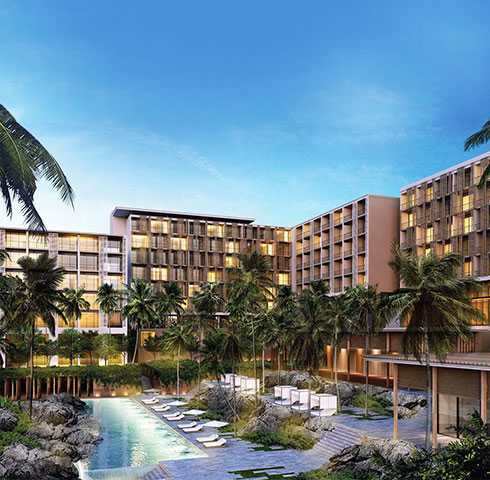 Escape to a tropical destination for your next conference or social soiree. 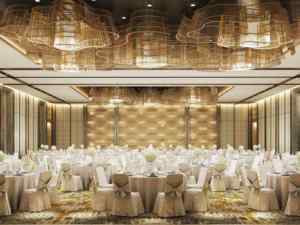 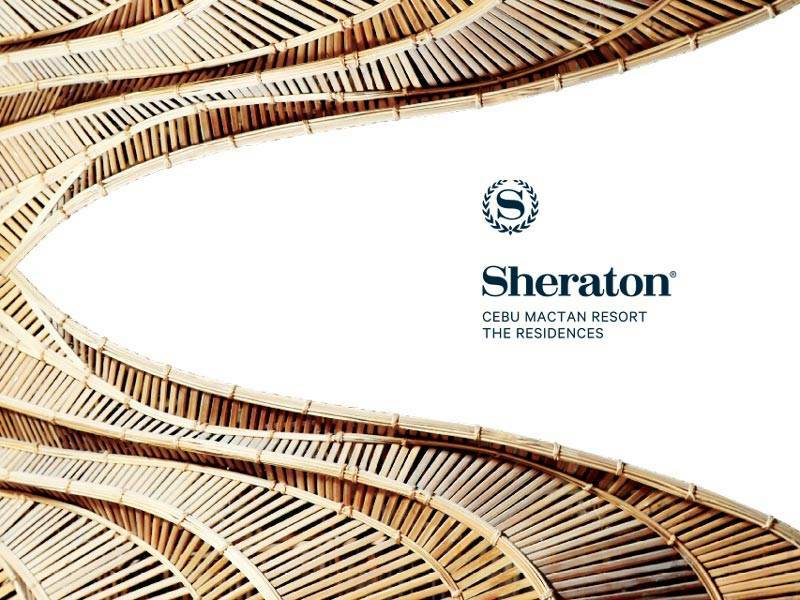 Sheraton Cebu Mactan Resort offers more than 1,300 square meters of versatile space, as well as inviting outdoor venues. 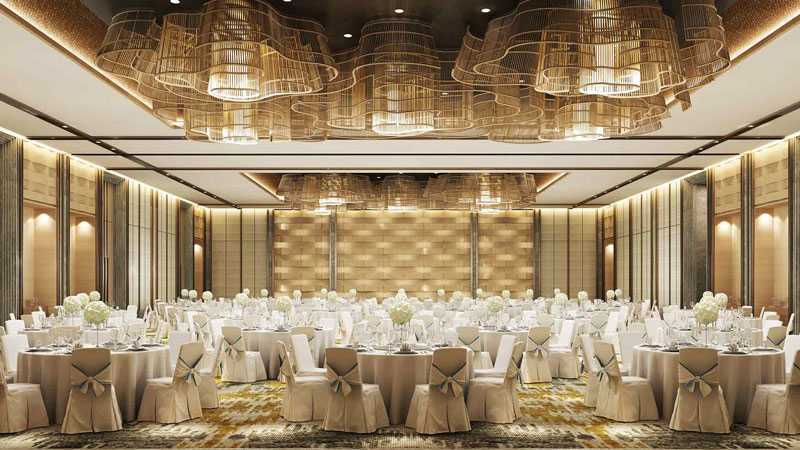 Our professional planners will help you plan and stage an event in a space tailored to your needs. 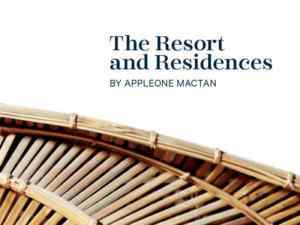 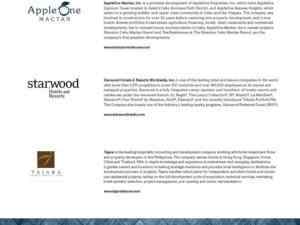 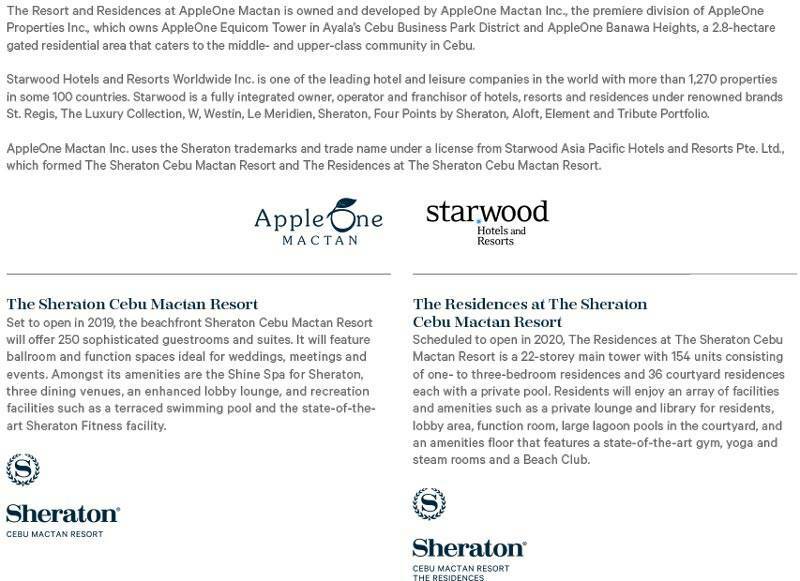 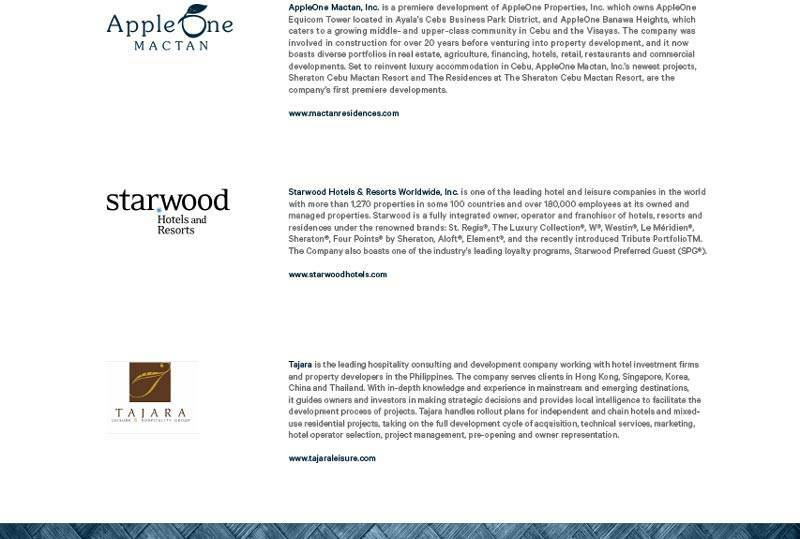 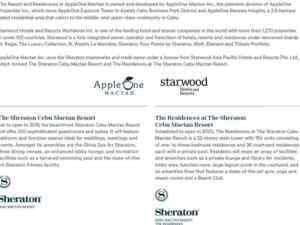 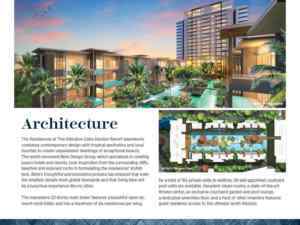 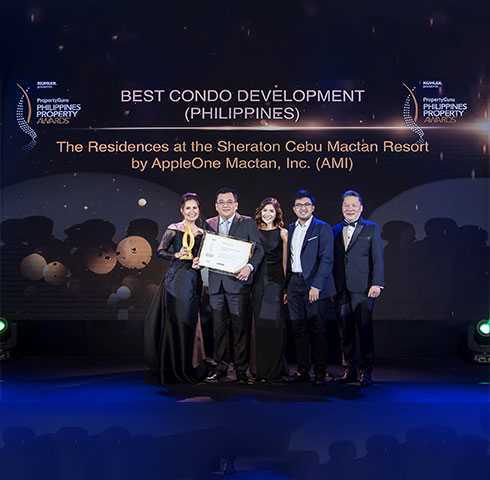 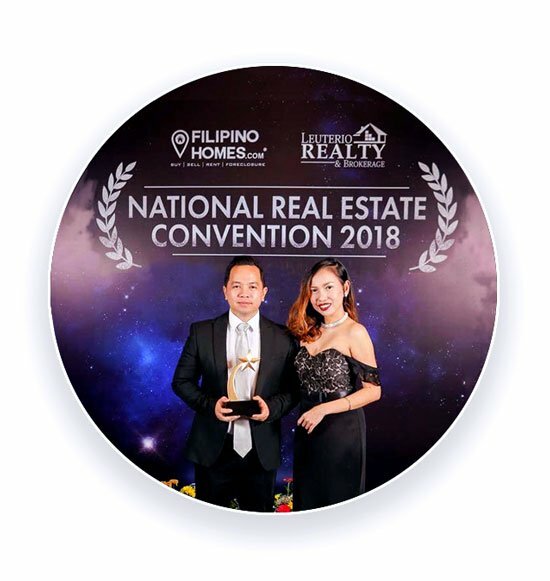 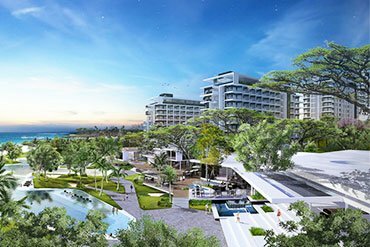 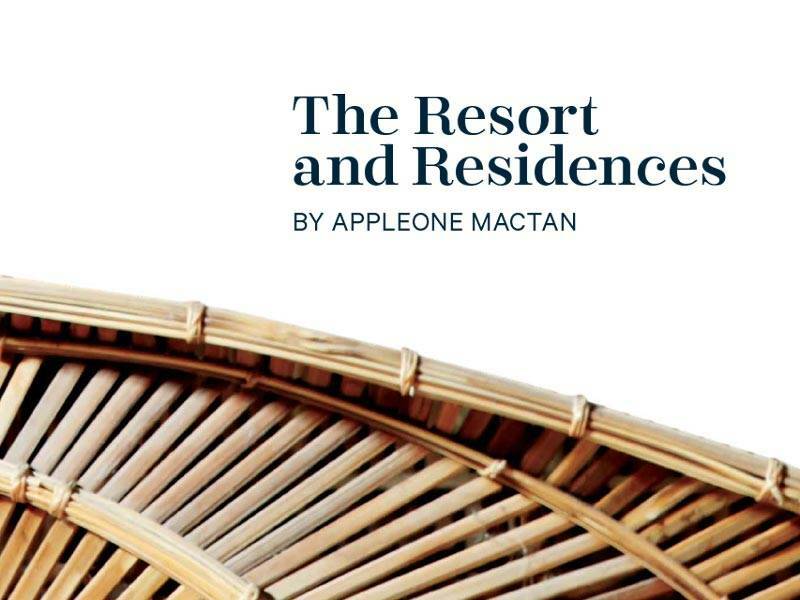 AppleOne Mactan Inc.’s The Residences at Sheraton Cebu Mactan Resort bagged the 2018 Philippines’ Best Condominium award, among other titles, in Asia’s most prestigious annual industry awards, making AMI the first real estate company outside of Manila to win in the category. 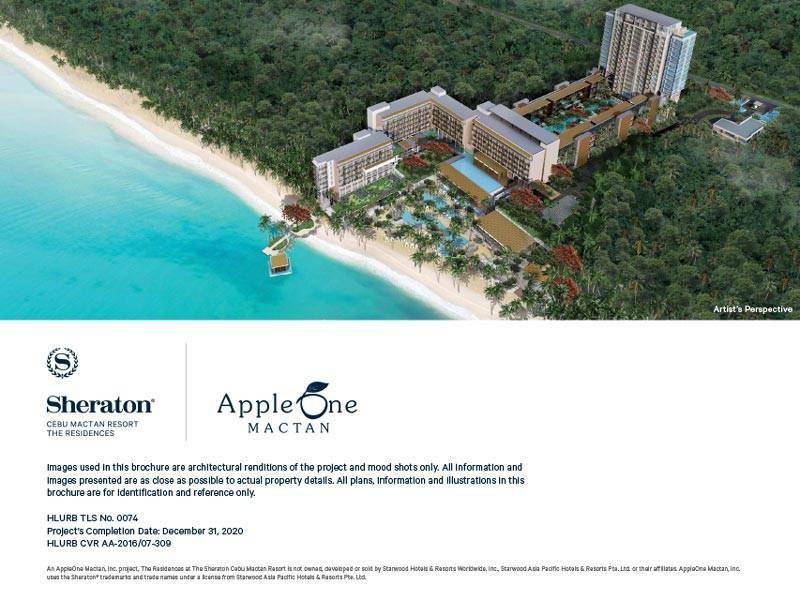 Mactan Island is a perfect playground that offers everything from modern conveniences to untouched natural settings. 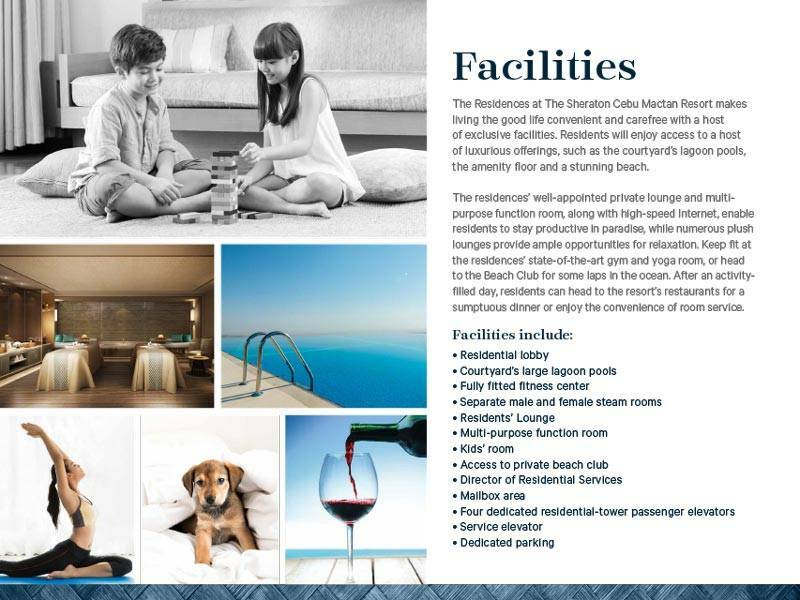 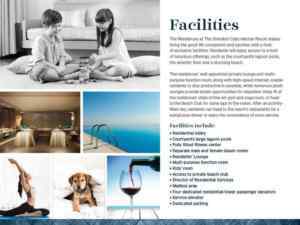 The Residences at The Sheraton Cebu Mactan Resort is pet friendly and close to a wide variety of exciting activities for both children and adults. 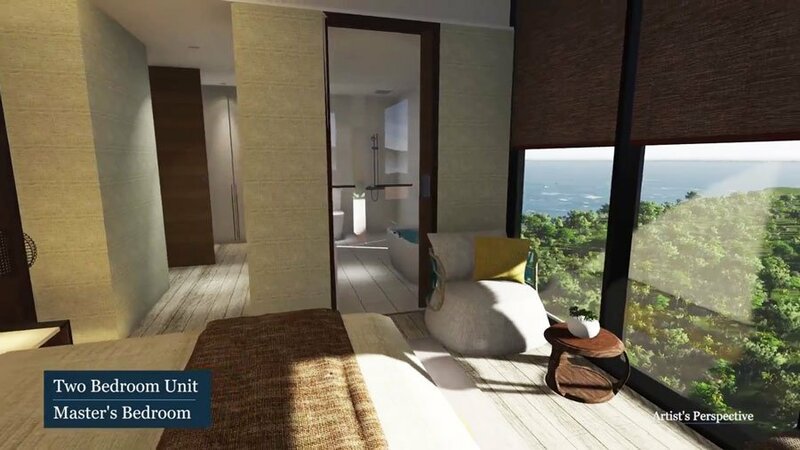 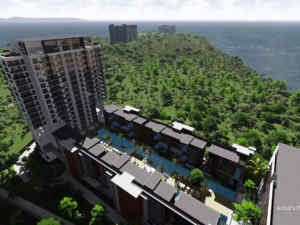 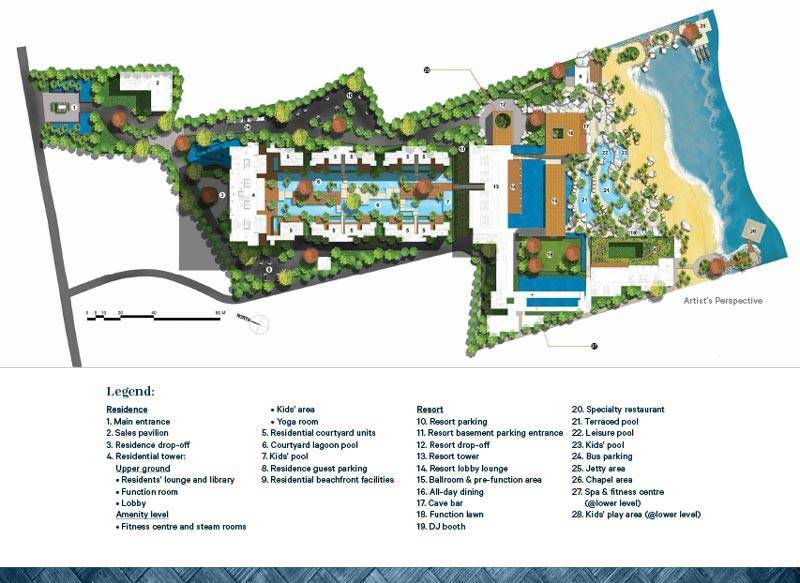 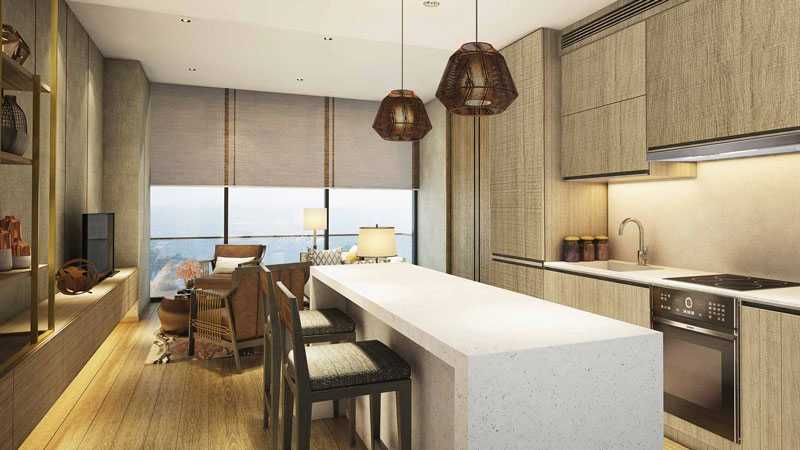 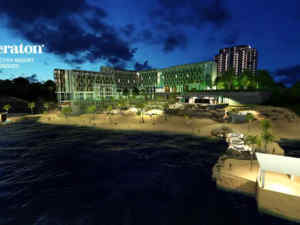 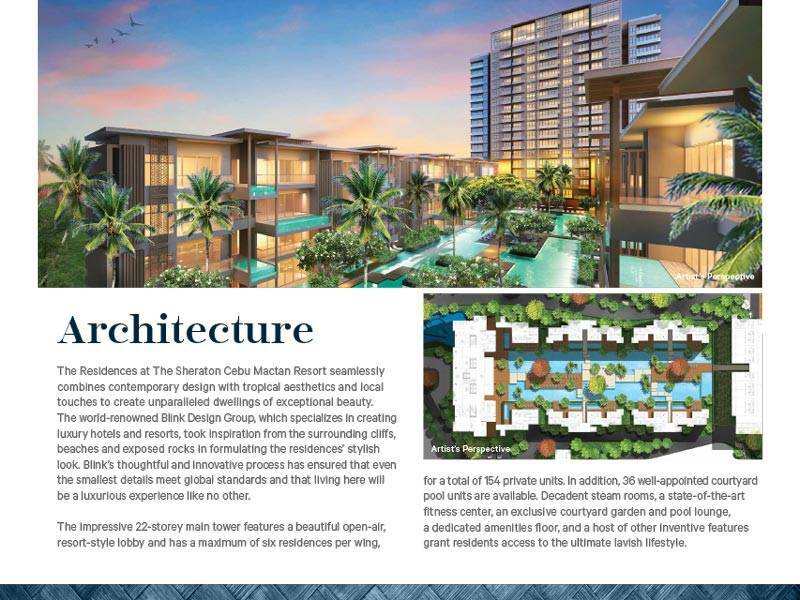 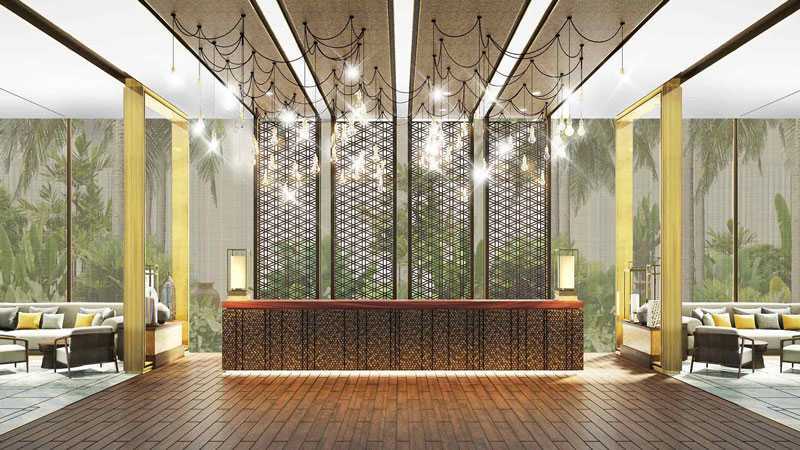 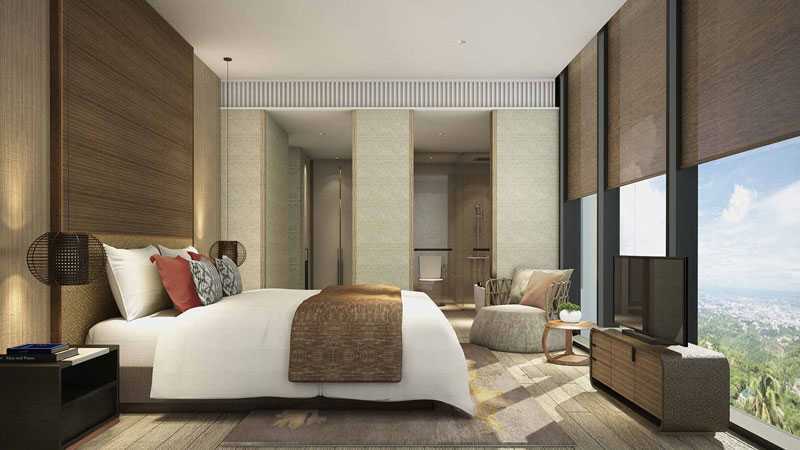 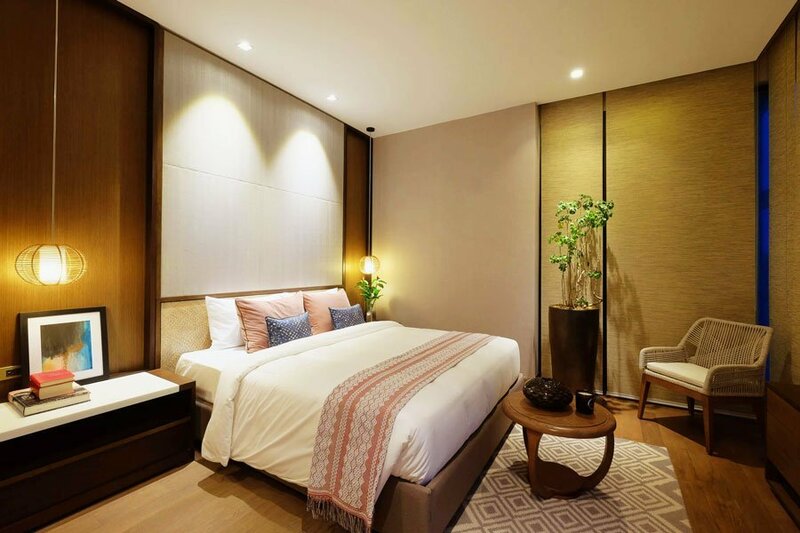 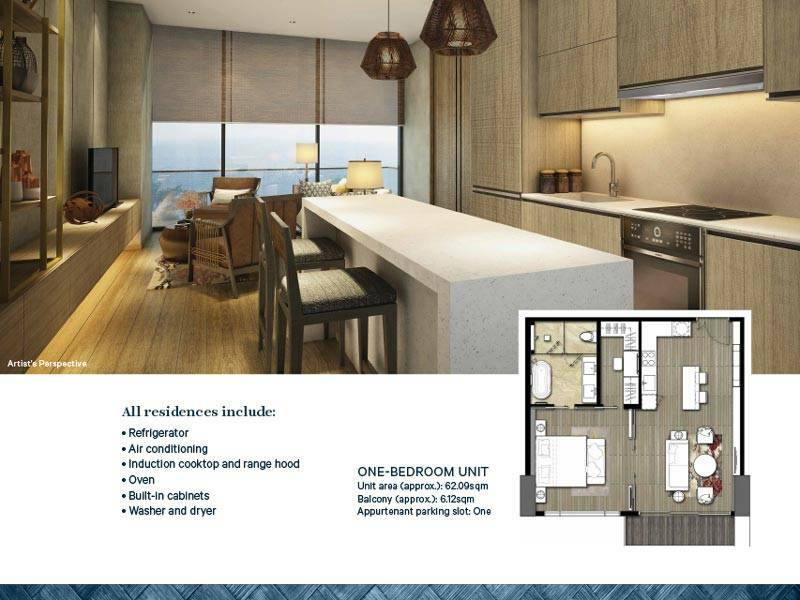 Buyers will enjoy unparalleled privacy in breathtaking surrounds while staying connected to everything Cebu has to offer. 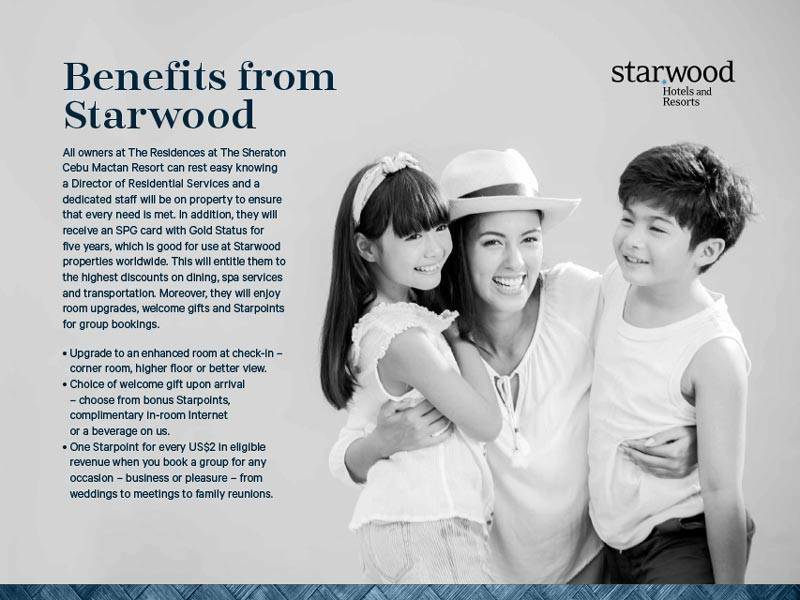 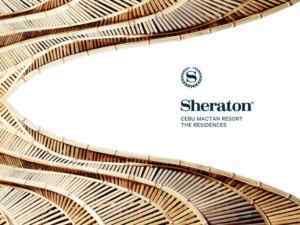 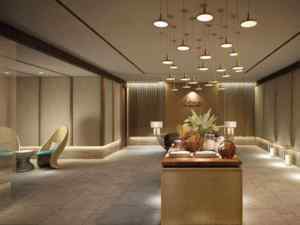 Sheraton Cebu is also Starwood’s flagship brand, providing one of the most luxurious hotel and resort accommodation in the world. 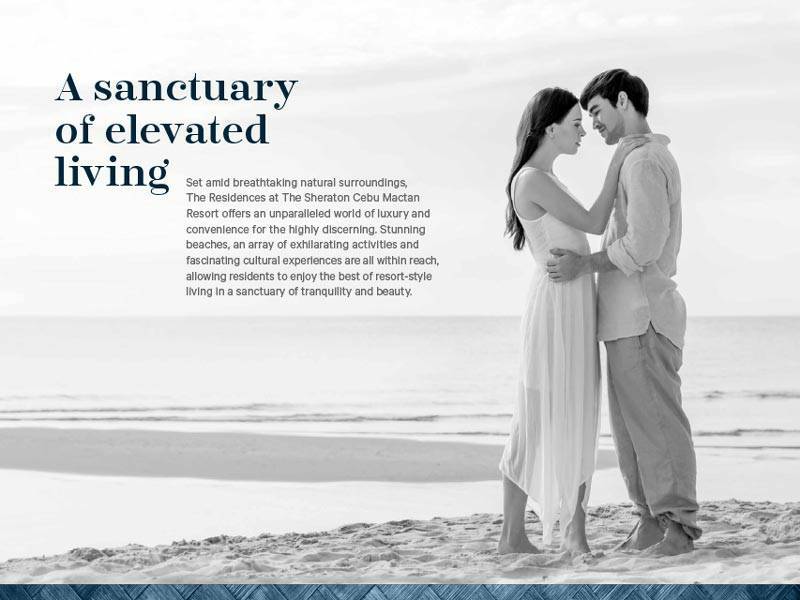 Top-notch facilities and unsurpassed services make the property the most exclusive address on the island. 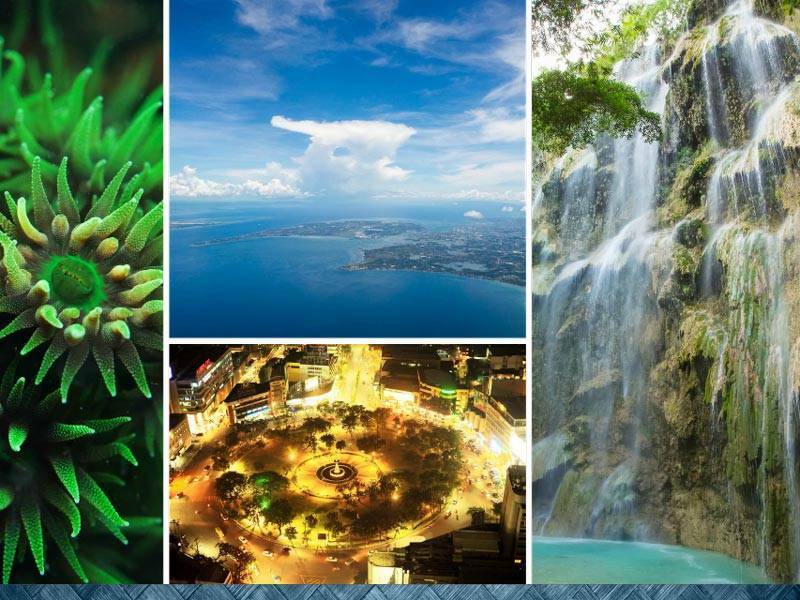 The oldest city in the Philippines. 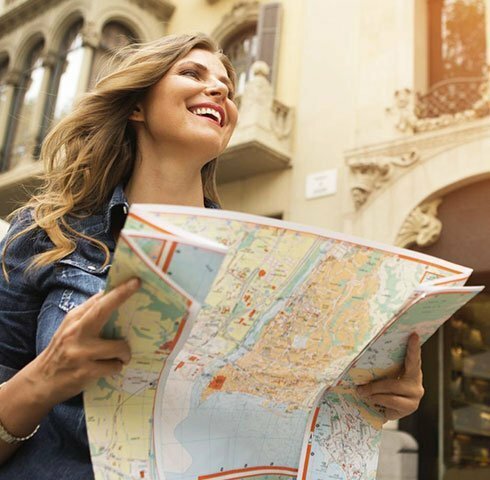 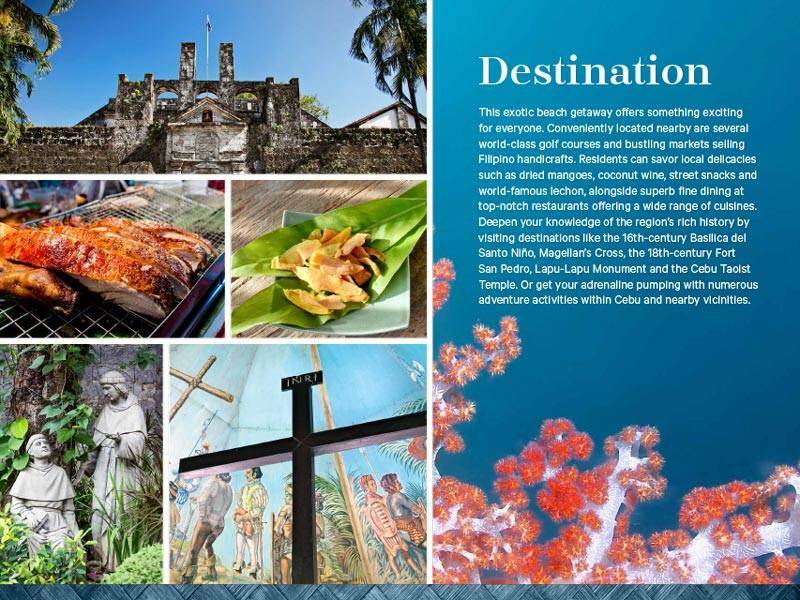 Top attractions include the 16th-century Basilica del Santo Niño, Magellan’s Cross, the 18th-century Fort San Pedro, the Lapu Lapu Monument, and the Cebu Taoist Temple. Admire the relics at the Cebu Provincial Museum or the musical treasures housed in the Jose R. Gullas Halad Museum. Located at the southern tip of Cebu, the famous Kawasan Falls is another top attraction. 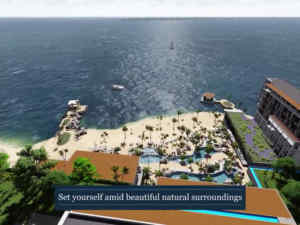 Adventurous seekers can also go cliff diving, cayonning, or trekking amid lush tropical rainforests. 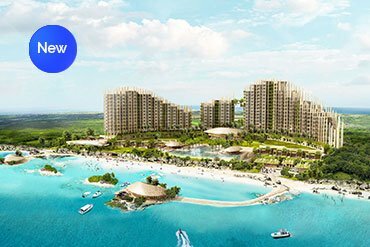 Explore nearby Cebu City’s shopping, culture, and nightlife, then return to our inviting resort for indulgent relaxation and dining. 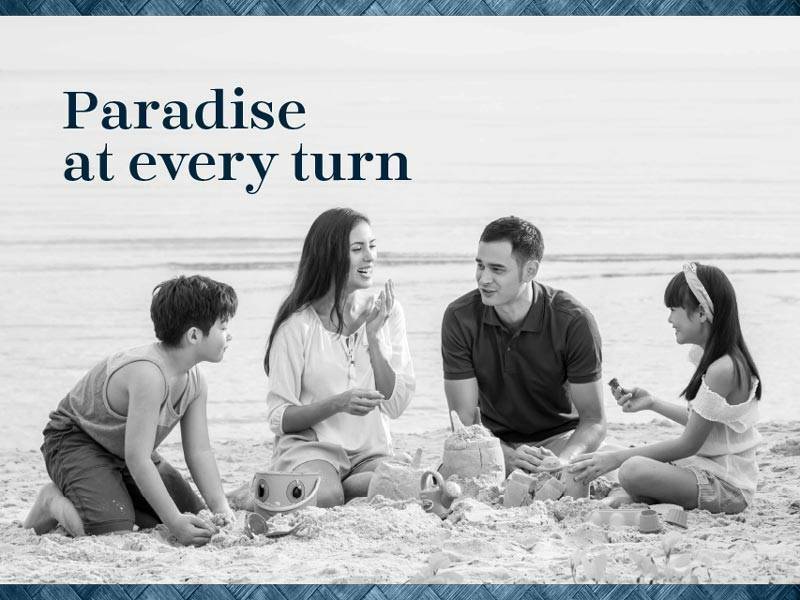 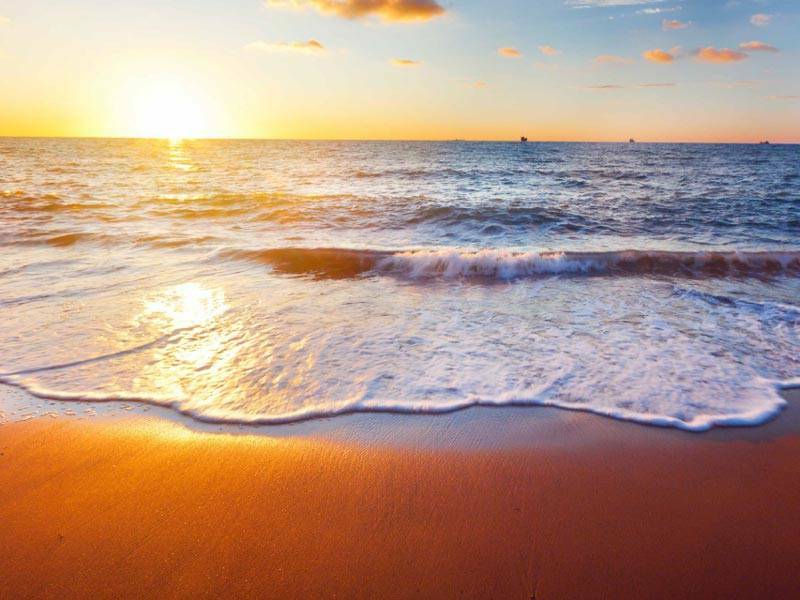 Relax and soak up the sun on our pristine white sandy beach, take a refreshing swim in the crystal blue sea, or join a fun game of beach volleyball. 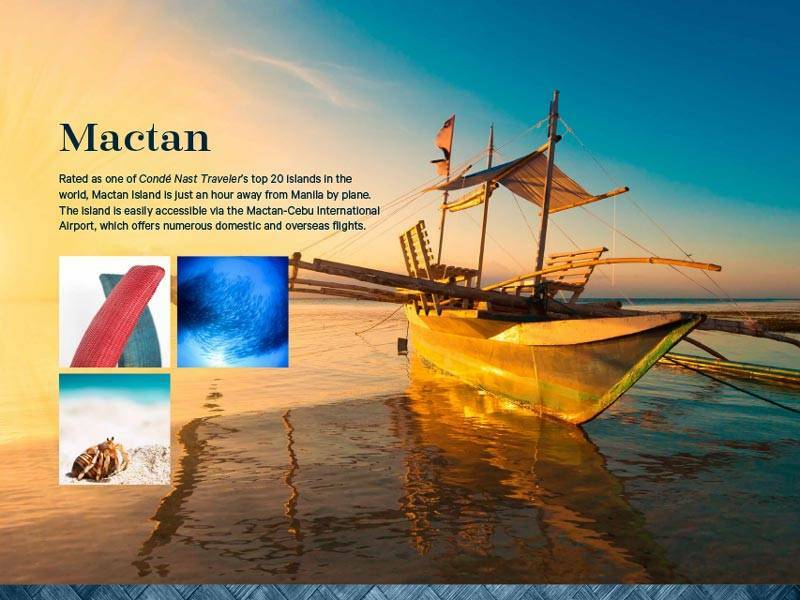 Teeming with rich marine life, Mactan also offers world-renowned snorkeling and scuba diving. 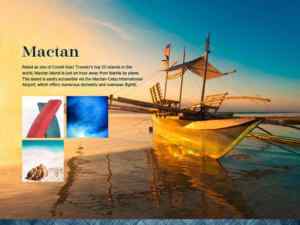 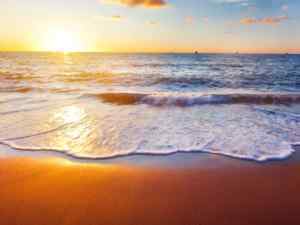 Other watersports include sailing, kiteboarding, windsurfing, and fishing. 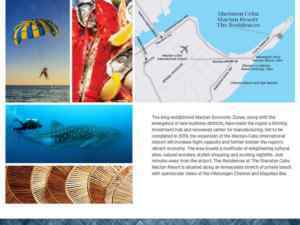 Spend a day island hopping, or take an excursion to Oslob to mingle with whale sharks.